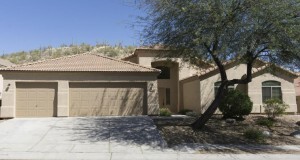 There are no Sabino Mountain homes listed for sale with prices between 400K and 895K. This would include many of the semi-custom homes and the smaller custom homes in our neighborhood. When inventory shows there is no other competition in your price- range your house really stands out and becomes more desirable for buyers to view it and make the purchase. If you are thinking of selling, I am an email or a phone call away at 520-615-2598 or email me at Donna@DonnaAnderson.com. I have sold 15 homes in our community and have lived on Boulder Canyon for almost 13 years! 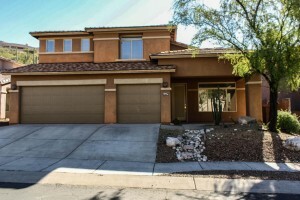 4437 N Sabino Mountain Drive, listed by Long Realty for about a year and a half, made it under contract for the second time at a greatly reduced list price of 799K. 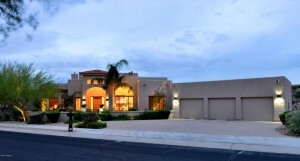 This impeccable and well-built 3,664 square foot home is sited on 1.22 acres and has both city and Santa Catalina Mountain views. Not having a pool would have lessened the number of potential buyers, however, this house is fabulous for the price! 4258 N Ocotillo Canyon with a List Price of 335K went under contract after only being on the market a month and a half by Long Realty. It does not surprise me that it sold quickly because it is a great buy. The floorplan is very popular–2,236 square feet with the beautiful great room as you walk through the front door. 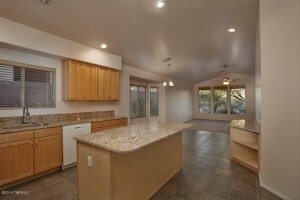 Having a 3 car garage, new carpeting, fresh paint, new granite counter tops really helped bring in motivated buyers. This one last sold as a new home 15 years ago at $262,519. 4374 N Sunset Cliff Place went under contract after being on the market for a little over 2 months’ time; it is a flip and is listed by Portofino Realty. The List Price is $346,900. This almost 3K square foot home was purchased by the Sellers at Auction; the original owners paid 328K for it 13 years ago. It has new carpet and some new stainless appliances and was partially staged as well. Buyers usually get a great deal on a flip and this one was no exception. You are currently browsing the Sabino Mountain Blog blog archives for May, 2016.